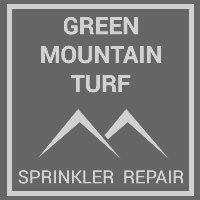 For over 40 years, the Green Mountain Turf Sprinkler Repair team has provided honest, reliable, and professional sprinkler repair services in Lakewood and beyond. Along the way, our team has worked with every brand of equipment under the sun, which means we can repair your system a little bit faster and install new parts that last a little bit longer. Our dedication to quality workmanship and superior customer service has earned us thousands of satisfied customers. We look forward to making you our next one. Why Call Us for your Irrigation Needs? We also cover drip irrigation, sprinkler system installation, outdoor lighting design & more. 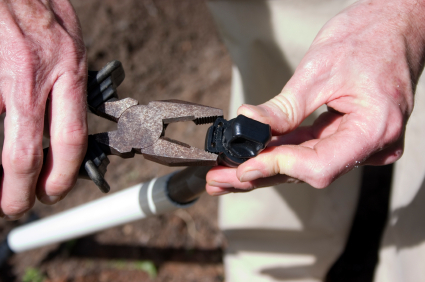 Did you know that many cities throughout the Denver area offer rebates when you switch to water saving sprinkler equipment, like low flow heads and smart controllers? The exact rebates vary from city to city, but we can help you better understand your options and maximize your savings. Switching to smart sprinkler equipment, like the 2nd generation Rachio controller, will also let you control and monitor your watering from anywhere, save money, and save water. To learn more, speak with one of our sprinkler specialists today. Sprinkler system winterization, or a blowout, isn’t as simple as it looks. Doing it right requires a high-volume air compressor and the knowledge to use it correctly. First, we’ll turn off your water and ensure that your system has been shut down correctly. Next, we will blow out each of your zones, one by one, using our high-volume air compressor. Since temperatures can sometimes dip below zero in Lakewood, it’s important to get every last drop out of your system. Finally, we will perform a quick inspection of your system to see if any repairs need to be done before we start up the system in spring. When spring does come around, let us start up your sprinkler system. 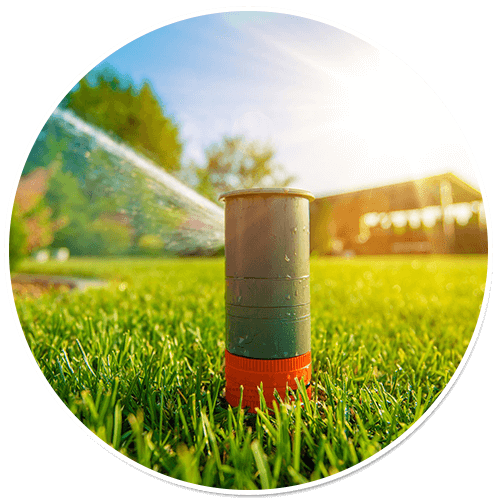 We’ll turn on your water supply, double check your system for any winter damage, adjust your sprinkler heads, and confirm that your controller is ready to keep your lawn green and healthy throughout the season. Our team is ready to help. Call or contact us today, and we’ll do the rest.